I’m relatively new to QVC – as I didn’t grown up in the UK or with shopping channels – but since discovering it I’ve found myself fascinated (OK I admit it, at times hooked!) and very pleasantly surprised at what they have on offer. They cover pretty much anything you would ever need, but as you know, my personal interest is in all-things-beauty so I was amazed at how many exclusive collaborations they have with some of the best beauty brands out there. The other great advantage about shopping on QVC is, of course, the price point (they’re a big enough company to be able to make their prices accessible to all) so you can get some fantastic value for money. But possibly the most interesting thing about QVC is that the channel invites the experts behind the brands to talk about their products live on air – what better way to get a real understanding of the philosophy behind the brands? And if you’re not a TV shopping-channel lover you can still enjoy their products by shopping online on their amazing website. I was looking for a new scent for spring and checked out two fabulous fragrances that are exclusive to them and absolutely gorgeous. As the perfect daytime spritz, I chose You are Divine, by Philosophy. It’s ideal for spring as it’s light, flowery and very feminine – perfect for daytime wear or as a light evening perfume option. I love the name and the bottle and the fragrance is a well-balanced combination: top citrus, fruity notes with lovely vanilla and sheer musk to bring it all together in a sophisticated and elegant perfume. 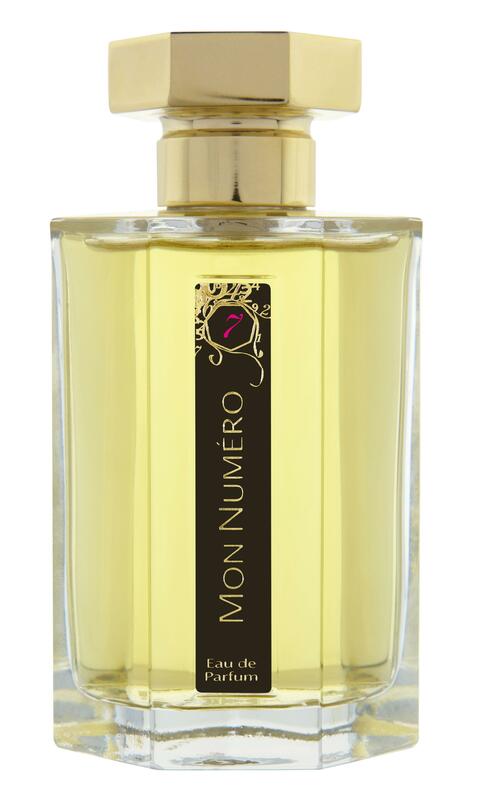 L’Artisan Parfumeur Mon Numero 7 retails at £110.16 (100ml). You are Divine, by Philosophy retails at £27.36 (60ml). For more information go to www.qvcuk.com. This entry was posted in Scents and tagged Fragrances, L'Artisan Parfumeur, Mon numero 7, perfume, Philosophy, QVC, QVC exclusives, Scents, You are Divine. Bookmark the permalink. Last night before going to bed I noticed your post, this morning I found myself watching one of the shopping channels (they happened to be doing a “beauty day” and had all sorts of specials…I was amazed. I’d never really thought about them for actual deals but wow!